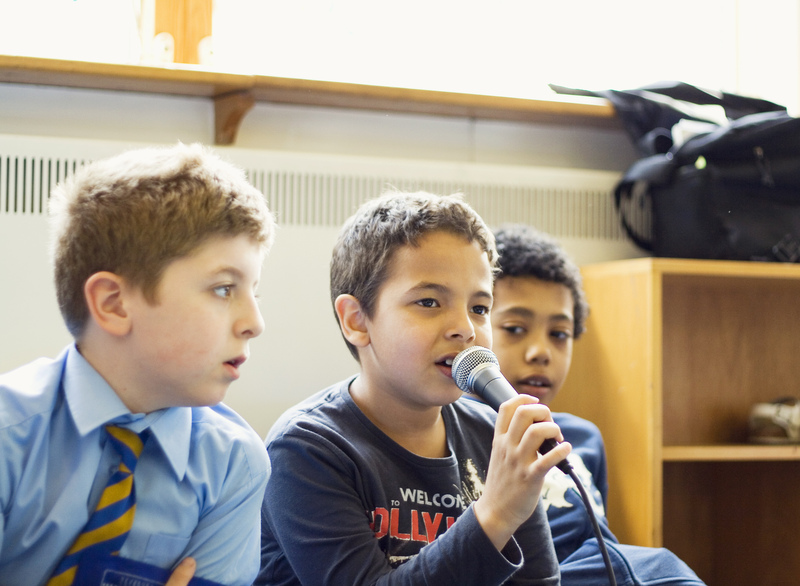 For a number of years we have been working with The Cherry Trees School in Bow and its extraordinary pupils, who experience emotional and behavioural difficulties. Workshop leader Roshi Nasehi reflects on their most recent work with us. I’m writing this blog on the tail end of an intense, varied and extremely rewarding few months of work as a musician. Since January of this year I have composed and performed substantial live scores for Birds Eye View’s Sound and Silents Series and for So & So Circus Theatre Company at Southbank Centre and Jacksons Lane respectively. 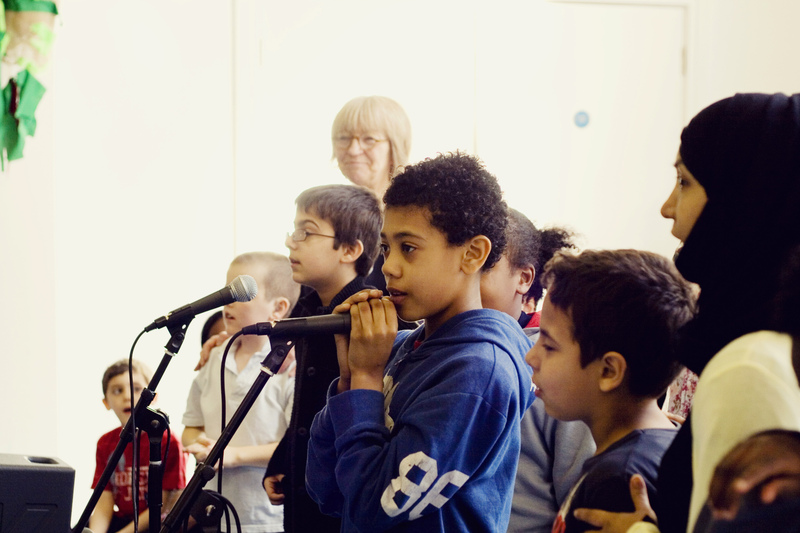 I’ve also worked on various new and ongoing music outreach programmes as a consultant and facilitator exploring singing, songwriting, improvising self-expression and reminiscence with groups of elders, people with special education needs and children. 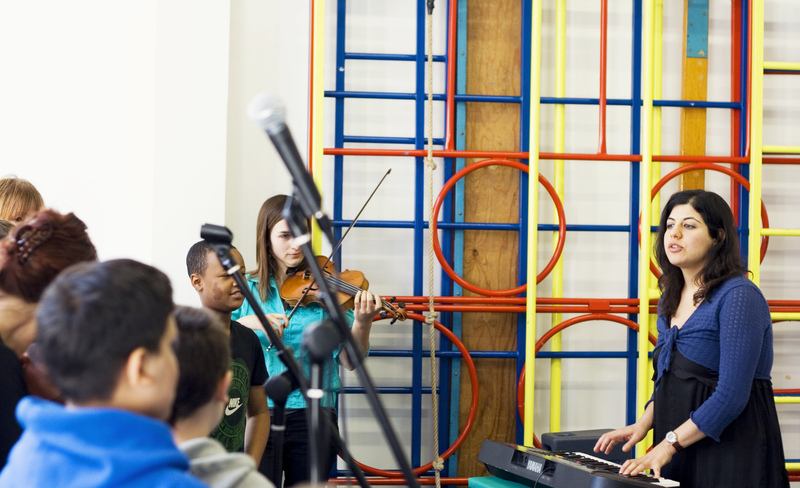 One of my favourite projects of all has been on behalf of Spitalfields Music: a two-week intensive music residency at the Cherry Trees School for boys with emotional and behavioral problems which happens annually just before Easter. I have worked in maybe 50 schools in total over the years, but this school is definitely my favourite of all. It’s a very special environment and when I first visited in 2009, I was immediately struck by the staff’s ability to put in place routine and structure in a way that creates a sense of safety rather than being oppressive. They are also able to maintain this solid feeling of structure whilst being very person-centered with every child. It is my favourite group of teachers to work with. I have learnt so much from them. Every opportunity is taken to support the boys in developing their emotional literacy, encouraging eye contact or breaking down feelings. There is also the strongest sense of social pedagogy I have ever experienced in any school. Classes eat breakfast together, are responsible for looking after pets, recycling, growing vegetables, making bread and the whole school eats lunch together. Work ethic and academic achievement are by no means neglected. This group of staff are just expertly used to considering innovative ways of imparting skills and knowledge to these children who have complex social and emotional difficulties. Recently I co-led this project with wonderful junk percussionist Jim Cartwright for the third time. We were joined by two Music Animateur Apprentices, string players Alice Howick and Bimbi Urquhart. The project started off in a slightly bumpy way as following my Southbank Centre performance and other project work, I lost my voice (the first time in 20 years but I had been over-doing it). As a result I had to miss the first day and rethink the remaining opening sessions. The boys feel things very deeply and working with them can be really affecting. My first reminder of this was the many questions about ‘how my voice was, was it better etc..?’ Jim had told me that some of the boys had literally closed their eyes and crossed their fingers following his ‘lets hope Roshi gets better really soon’ remarks. I’ve always strived to be as real as possible with them. Many of their difficulties come from not being able to manage their emotions and being extremely authentic about how they feel no matter how appropriate it is to express it or how vulnerable that makes them. I’ve always felt a desire to be as clear and genuine with them as possible. There was gradually also plenty of singing. Jim and I had decided to explore themes around ‘unity’ and ‘people coming together to celebrate or to protest’. An arrangement of Blame It On The Boogie went down really well with the youngest (5-7 year old) members of the school confidently singing solos into the microphone whilst several other boys were actually drawn to dance to it, both in class and on stage. I also made an arrangement of Labi Siffre’s Something Inside So Strong. The boys made up movements to go with the very poignant words and one little boy felt confident enough to sing verse 1 by himself. When he did several of us (including he himself) started to cry. Cindy Lee, the Blue class teacher encouraged and supported me to talk a little about the themes in the song and to even go as far as to tell them about my second cousin in Iran who was arrested last Autumn after attending a demonstration on the drying of Lake Orumieh. I was able to explain in a natural way how in certain countries people don’t have the freedoms we have here and how a song like Something Inside So Strong helped to raise awareness about the political situation in South Africa in the 80s with its powerful, hopeful lyrics. Of course there were moments of reluctance from a few and the sad realisation for me that some of the now older boys who used to ask for ‘Tony Chestnut’ song when they little were more conscious these days about appearing ‘cool’. However there were so many great collective moments of exuberant engagement, high energy samba drumming and chanting, very funky sounding junk strings and original songs exploring ‘travelling round the world on imaginary motorbikes’ and coming together to form ‘One Voice’. Whilst these boys have moments of acting out there’s just as much hiding under chairs and tables too. They are vulnerable children and there is an innocence to their anger. Cherry Trees manages to nurture and support these boys with genuinely innovative approaches and I feel really honoured to be making a contribution to their development through the powerful medium of music and grateful to Spitalfields Music for making it happen.